If you’re looking for a truck to match your tireless work ethic, the 2015 Ford F250 Super Duty is the truck for you. It’s loaded with features and can haul, tow, push and pull anything you need it to. It’s available in either 4x2 or 4x4 configurations and XL, XLT, Lariat, King Ranch and Platinum trim models. Choose between Regular Cab, Super Cab and Crew Cab. The frame of the 2015 Ford F-250 is designed to minimize flexing and twisting. It achieves this by being constructed of fully boxed front rails and 6.7-mm-thick C-channel rails and crossmembers. Being built this way also allows it to maintain maximum strength and torsional stiffness. The F-250 is available with a 6 1/4' box or 8' box size. Designed to handle any job, the 2015 Ford F-250 makes towing a breeze, thanks to PowerScope® trailer tow mirrors. 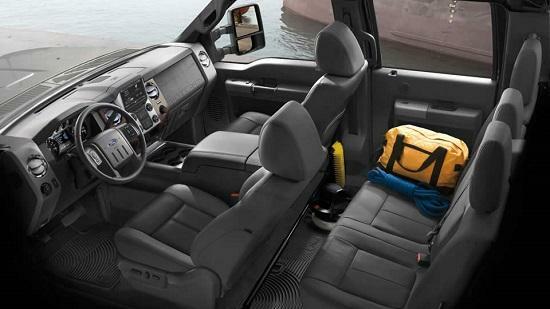 The Super Duty lineup offers a stowable bed extender which increases hauling capacity, safely and securely. The cargo box features an integrated lamp and partitionable and stackable sections. The dual beam jewel-effect halogen headlamps provide added style while illuminating the road. Keep track of your fuel consumption in the 2015 Ford F-250 Super Duty with the available driver-configurable LCD productivity screen. It also gives you towing and off-road information, and more. Opt for Ford SYNC or plus SYNC with MyFord Touch for the ultimate in hands-free capability. Ford’s innovative system includes hands-free calling, voice-activated music search, Bluetooth audio, information screens, and the ability to have incoming text messages read aloud to you. SYNC comes standard on the XLT and is available on the XL. It also comes standard on models with MyFord Touch, including Lariat, King Ranch and Platinum models. The Gaseous Engine Prep Package for the 6.2L V8-powered models includes hardened exhaust valves and valve seats for improved wear resistance and durability for gaseous fuel systems. 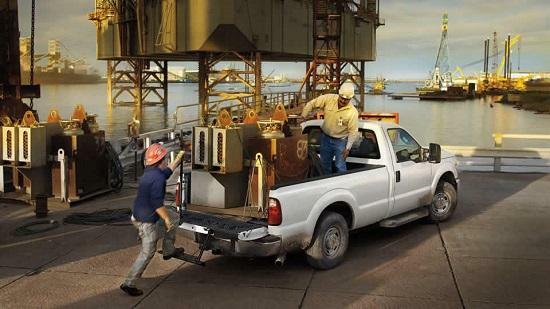 This allows you to cut fuel costs along with greenhouse gas emissions in the 2015 Ford F-250 Super Duty. If that’s not enough, the 6.2L V8 is flex-fuel capable. This means you can run it on unleaded gasoline, E85 (up to 85% ethanol and 15% gasoline), or any mix of the two. The fuel injection and spark timing are automatically adjusted according to the blend detected by electronic sensors. The available 6.7L Power Stroke Turbo Diesel V8 is also capable of running on biodiesel. The Live-Drive Power Takeoff provision is integrated into the transmission’s design and utilizes an output gear linked directly to the engine crankshaft to power upfits anytime the engine is running regardless of whether you're in motion or you’re stopped. It allows you use applications like salt spreaders, highway tree-trimming equipment and more and with the split-shaft capability, multiple accessories can be operated at the same time. The 6.2L Gas V8 and 6.7L Power Stroke Turbo Diesel V8 are both matched to a TorqShift 6-speed SelectShift Automatic. The available 6.7L Power Stroke Turbo Diesel engine has had some significant upgrades done to it, such as a new, larger turbocharger that offers greater on-demand performance. The surface area of the compressor vane is also larger, allowing for lower boost pressure and eliminating the wastegate. An all-new fuel pump and injectors provide more power and reduce emissions while a new temperature control system gives you enhanced turbo efficiency and performance. The 2015 Ford F-250 is part of an award-winning heritage. Ford guarantees all of its new vehicles with comprehensive warranties, including the 2015 Ford F-250 Super Duty. 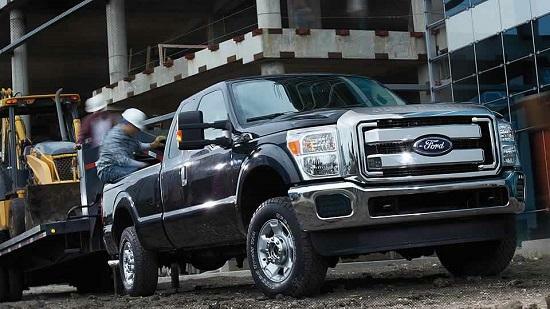 For a truck that works as hard as you do, look no further than the 2015 Ford F-250 Super Duty. It will keep up with you and make you feel like you’ve gotten the most out of your day when it’s done. Take one for a test drive today and see what it can do for you. If you’re looking for a truck that’s tough and as ready for action as you are, look no further than the 2015 Ford F-250 Super Duty. Visit your Okanagan Ford Dealer - Watkin Motors Ford to learn more about the 2015 Ford F-250 Super Duty, and the rest of Ford Canada’s incredible lineup. Watkin Motors Ford also offers a wide range of used and certified pre-owned models to choose from. Visit the showroom today to drive away in a machine that was built Ford tough. We are an authorized Ford dealer in Vernon, BC. We also serve Kelowna, Salmon Arm, and the Okanagan area.